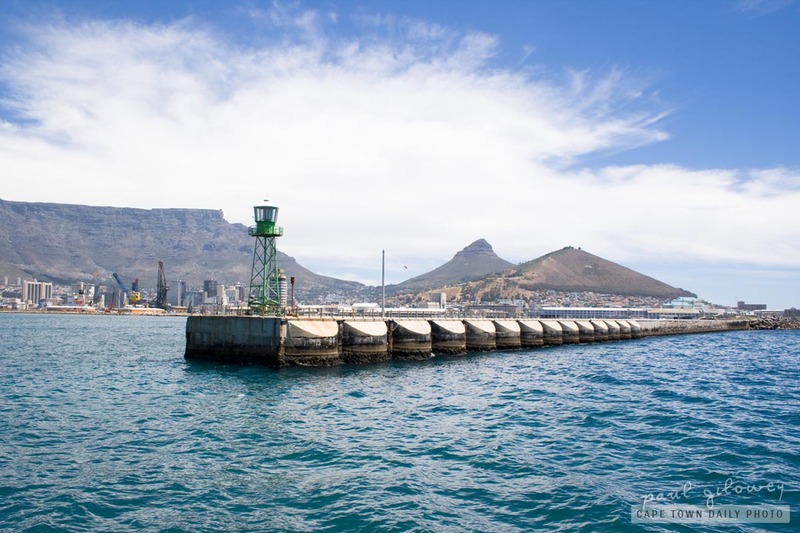 The mountain in the background, along with Lion's Head and Signal Hill to the right unmistakably identifies this breakwater to be part of Table Bay harbour (which is the big harbour where your cruise liner would normally drop you off). I heard recently, on the radio, that plans are afoot to build a proper arrivals and departures terminal that will cater for tourists arriving on large liners. Currently, visitors normally disembark alongside a commercial (and not very pretty) pier very close to the beautiful Table Bay Hotel - which I have to say is hugely convenient if you plan on bunking in one of the hotel's 5-star rooms! Posted in General and tagged harbour, lion's head, sea, signal hill, table mountain on Wednesday, 1 December, 2010 by Paul.